Artificial Gills To Breathe Underwater: A Million Dollar Scam? The ability to breathe underwater unencumbered by heavy equipment is a common dream. Unfortunately, it also appears to be a pipe-dream that has hundreds of hopeful underwater explorers shelling out big bucks ($700,000 in just a few days) for a product of dubious design, and the number is growing. 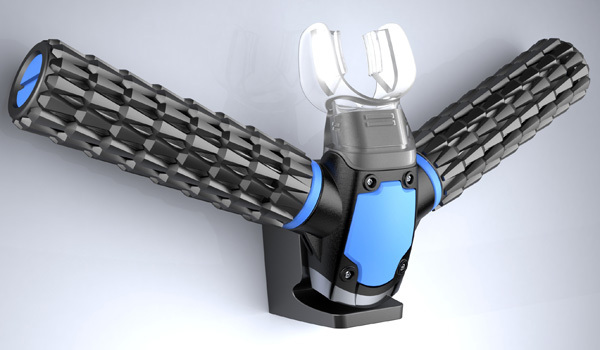 Currently raising funds on Indiegogo, the Triton claims to be the world’s first “artificial gills rebreather,” a concept that has eluded the world’s top scientists and military contractors for years. If true, it would revolutionize snorkeling and recreational diving overnight. Experts say that the Triton’s claims are bold, and implausible, and the company’s lack of third-party verification or industry experience raises red flags. We reached out by email to Triton (the company has no phone number or address listed on its website, Facebook page, or Indiegogo campaign; red flag number one). The company has not responded to our request for information. We also spoke with several experts — Ph.Ds at Divers Alert Network and Deep Sea News, scuba designers, and researchers in human physiology. The consensus: The Triton faces limitations in battery design, high-pressure storage, and filtration that will likely not be overcome for decades. We’d love for this product to be real. It would change shallow diving forever. If it turns out to be effective, we’ll be eating crow and lining up to buy one after the company claims they’ll be delivered in Dec. 2016 (or as soon as a third party verifies they really work as promised). But for now, we, and many others, are skeptical. To understand the difficulty of extracting air from water, you need to go back to middle school chemistry. Water in lakes, oceans, and pools contains air from the atmosphere in solution. To remove solutions from water while underwater is not an easy task. But we’ll give this startup the benefit of the doubt and allow that they’ve come up with a revolutionary technology that removes 100 percent of dissolved oxygen from water. Even if this is true (top scientists have struggled to do this for decades), the device will still have to perfectly remove the oxygen from between 46 and 90 or more liters (my calculations) of water every minute to provide enough oxygen for a human to metabolize at rest. With any exertion, that number goes up dramatically. But we’ll settle with “at rest” for starters, because even that would be a world-changing revolution in technology. Using a standardized table of oxygen solubility, one can derive that fresh water at sea level contains about 9.1 mg/L of oxygen at room temperature (68º F). That’s .0091 grams. A human adult uses around (conservatively) 617 grams of oxygen per day at rest. That breaks down to .42 grams per minute. This number is highly variable depending on individual metabolism, size, exertion, and more. But for this scenario, if you divide .42 by .0091 you get about 46.1. That’s how many liters of water you’d need to process per minute to provide enough oxygen to support a person at rest. My numbers are conservative. Others have debunked the plausibility of this contraption by a much larger margin. Dr. Alistair Dove, the former associate editor of Deep Sea News, estimated that it would require 90 liters of water per minute — similar to a 1/4 horsepower sump pump — to produce enough oxygen to breathe. And this is all supposed to be done by a small lithium-ion battery sucking water through a plastic device the size of a snorkel. Plus, that small device also houses a compressor and air tank to store breathing air, and some kind of regulator (which in scuba gear costs over the price of the Triton alone) to change the high-pressure stored air to a breathable pressure. This remarkable technology — stuff that has never been done at remotely this scale, and that has never been tested or reviewed by any third party — can be yours for just $300 if you believe the pitch. For reference, a scuba regulator will cost you $400 or more, not including tanks. An entry-level rebreather weighs more than 40 pounds and will cost you $6,000. Dr. Neal Pollock, a research associate at the Center for Hyperbaric Medicine and Environmental Physiology at Duke University Medical Center, and the research director for Divers Alert Network, explained three significant barriers to the artificial “gills” concept. Delivery (metering): Somehow, this compressed air needs to be metered; a job that in scuba gear is accomplished by a regulator. At depths beyond 130 feet, or for prolonged dives, a rebreather that mixes oxygen with other gasses like helium and nitrogen is used. That’s because deeper than 15 feet, pure oxygen becomes toxic, so if an untrained user (anyone can buy this product) ventures too deep, they could be poisoned. “I don’t believe they have a chance of fitting all this into a small device,” Pollock said. A small apparatus for underwater breathing and the easy filtration of oxygen from water would be revolutionary in many regards. So would a battery small and powerful enough to power this device. Yet the brand has not revealed the product to any third party journalists or scientists that we know of. The only visual evidence of it working are videos produced by the company. This is a huge red flag. In any major technology release, legitimate companies are quick to share their developments once patented, and they will do so with great fanfare. Triton’s claims are almost certainly billion-dollar ideas. Yet they are trying to crowd-source the funding. “If they have figured out a battery so powerful to do all this, there are a lot of people who would pay a lot of money for it,” Pollock said. If this really worked, investors would be clamoring to get onboard. No crowd-funding campaign would be needed. The Triton has created a big buzz. 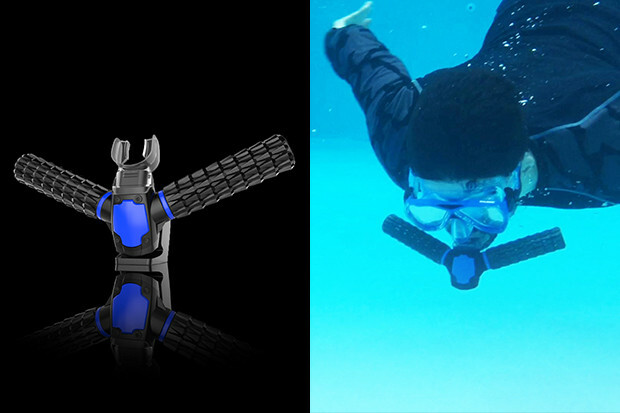 Consumers are ready to swim underwater with a simple and cheap device. So far, 1,850 people have contributed about $700,000 to the campaign. While there are many excited comments (“This is such awesome technology guys, good spirit and good luck! !”), many supporters have expressed some skepticism, noting some publications poking holes in the product. Triton’s responses do not answer any of the fundamental questions surrounding the technology. Indiegogo and other fundraising platforms have seen many failed products, and a fair number of borderline scams over the years. The problem is that, once consumers commit money to supporting the project, there is no way out. Some companies declare bankruptcy in the wake of a failed product. Others simply disappear, or deliver a product that falls far short of expectations. Generally, there is no recourse for consumers duped by the slick videos lacking substance in the crowd funding world. Tread with caution in fund-raising, as it’s a wild and little-regulated place. Divers are required to take certified courses in the use of scuba gear and carry this certification to rent or buy equipment. But the sale of the Triton is could be dangerous, as anyone can buy it with no oversight. Triton says the device is not for use deeper than 15 feet. It claims to become difficult to use and vibrate a warning after depths of 15 feet, but what’s to stop an uneducated user from venturing down deeper? It seems the company has not ignored this potential danger, but without any third party testing, it’s impossible to know how effective the safety features work, or if they can be easily circumvented. There are no recommendations for dive computers or depth gauges to keep users within the limits of safe use, and buyers from this campaign could easily find themselves in over their heads. 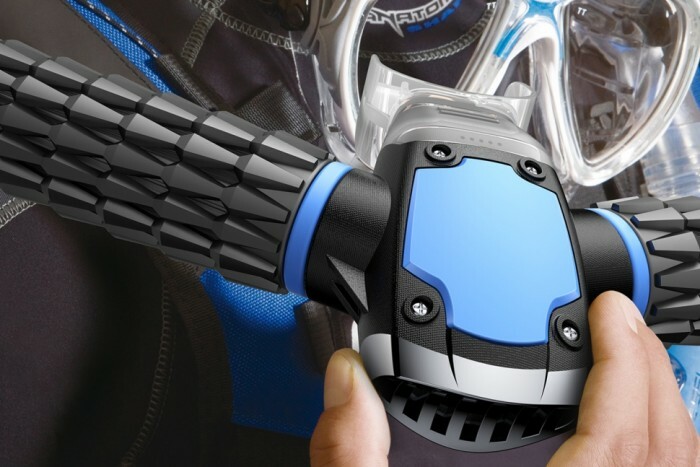 A world of questions remains to be answered about the functionality and safety of the Triton artificial gills. While great in concept, the actualization of this product requires engineering and design that goes far beyond the realm of a small Indiegogo campaign. If this is a real product, we urge the developers to step forward and introduce it to the world media in person and allow inspection by bona fide scientists and journalists. But until then, buyer beware: If it’s too good to be true, it’s probably false.